Many millions of women depend on it. Action Alert! In 2008, the FDA – likely acting upon a petition it received from Wyeth Pharmaceuticals, the manufacturer of Premarin (an estrogen drug made from pregnant horse mares’ urine) – went after bioidentical hormones, particularly estriol. Thanks to ANH members and the wider natural health community, the FDA backed off. Now, they see an opportunity to remove estriol and other hormones by other means and we must once again mobilize to stop them. The latest attack has been launched by nominating bioidentical hormones to the Difficult to Compound List. The track record thus far suggests that nomination is virtually identical to removal. Given that customized, bioidentical hormones are safe, effective, and not difficult to compound, why is this happening? Unfortunately, the FDA appears to be working at the behest of drug manufacturers whose products compete with these compounded hormones. Why else would consumer access to safe, efficacious products be denied? The FDA’s Pharmacy Compounding Advisory Committee (PCAC) makes recommendations to the agency concerning which ingredients should be allowed to be compounded. Since being set up, it has been diligently eliminating almost every natural medicine that it reviews. Now, crucial bioidentical hormones, including progesterone, progesterone combined with estradiol, and estriol, are about to be eliminated through this process. Once these hormones, along with related delivery systems such as time-release, have been placed on the FDA’s “Difficult to Compound List,” they cannot be made at any compounding pharmacy. The plain fact is that these hormones are not difficult to compound by any stretch of the imagination. Nominators argue, for instance, that bioidentical hormones are “difficult to compound” in part because they aren’t water soluble. This is correct—which is why pharmacies typically employ creams to deliver bioidentical hormones. (By contrast, many FDA-approved hormone drugs come in pill form, which may not be absorbed into the body.) Nominators say that the particle size of bioidentical hormones cannot be guaranteed—yet raw materials purchased by pharmacies are guaranteed by their manufacturer to correspond to a particular particle size. In short, the arguments that try to prove hormones are “difficult to compound” are false. Another argument we’ve heard coming out of the FDA and PCAC is that, if there are commercially available drugs on the market, there’s no need for a substance to be compounded. Back in 2008, there were no bioidentical drugs in this class. Now that there are, the FDA apparently wants to ensure that they have a monopoly. Quite apart from the undesirability of government protected monopolies, which lead to spiraling prices, this argument betrays a complete lack of understanding of compounding. The whole idea of pharmacies making individualized medicines is so that patients with special needs—those with allergies or other sensitivities, those who can’t swallow pills, those who need different dosage strengths or transmission forms ( eg. cream rather than tablet) than the market version of a drug, etc.—can get the medicine they require. Drug companies often prefer tablets because they are easier to produce. Does this mean that women should be denied access to a cream? The FDA’s hostility to customized bioidentical hormones has nothing to do with safety. We noted at the time that the FDA acknowledged it hadn’t received any adverse events pertaining to estriol, which shouldn’t come as any surprise: its safety profile is exceptional. Not only that: it can reduce the risk of taking other hormones and can reduce the risk of inflammation and cancer. Concerning cardiovascular disease, studies by the Postmenopausal Estrogen/Progestin Interventions Group (PEPI) and Gerhard et al demonstrated that natural progesterone does not negatively impact cardiovascular disease progression, unlike synthetic progestins… From the available data, BHRT may prove to be cardioprotective and not increase the risk for breast cancer [emphasis added]. ANH-USA is putting together a major public campaign to demonstrate to the FDA that millions of women rely on bioidentical hormones to stay healthy and will deeply care about what happens here. We are also taking this issue to Capitol Hill, educating members of Congress about the FDA’s push to get customized bioidentical hormones off the market in order to create a monopoly for the drug industry. The FDA and PCAC need to hear from patients and practitioners that we will not stand for this: it’s bad medicine and bad public policy. Women have a right to choose, with advice of their doctor, the medicines that best fit their needs. Take action below, but also tell us your stories. How have compounded bioidentical hormones helped you or someone you love? 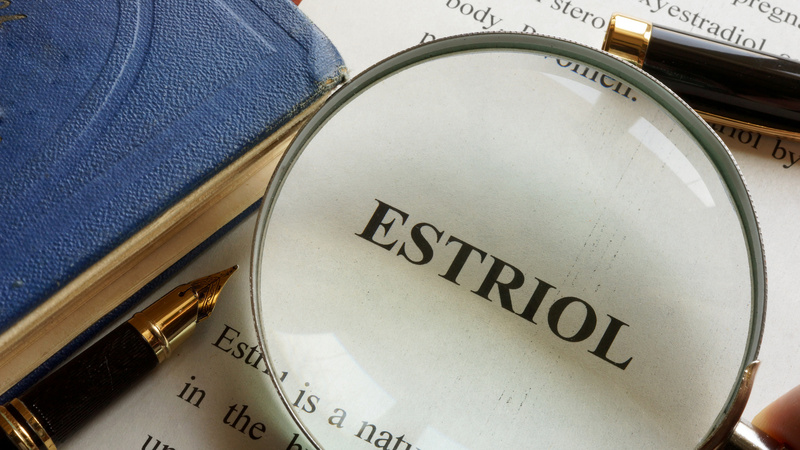 How has estriol helped you? Putting a human face on an issue makes it more difficult for the FDA to continue prosecuting its War on Women’s Health. Action Alert! Write to Congress, PCAC, and the FDA, telling them that we need access to compounded bioidentical hormones like estriol. Also, if you have a personal story you want to share, send it to membership@anh-usa.org. Your stories will help us demonstrate to policy-makers that patients will not tolerate the FDA removing access to protect the pharmaceutical industry.